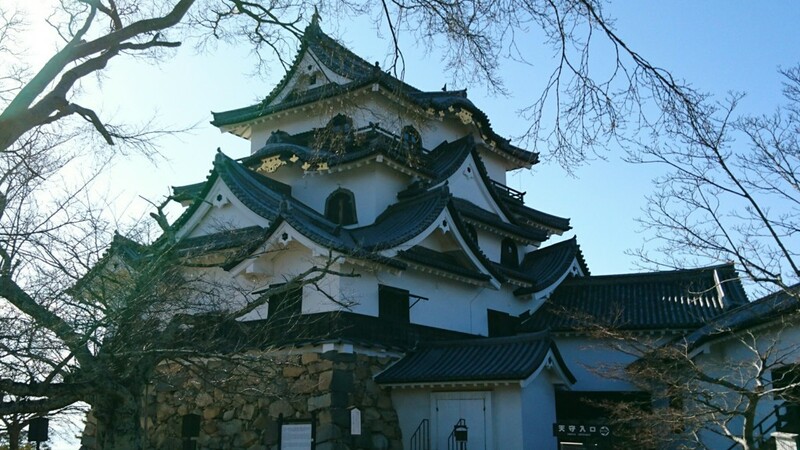 This is Hikone castle-Mitsue took the photo for the last newsletter and Yuka forgot to put this photo on top, domo sumimasen, so sorry about it and, for those who has not read the last newsletter, here is the one, please enjoy the article about Hikone castle. Hello! This is Nagisa from Ichiroya. 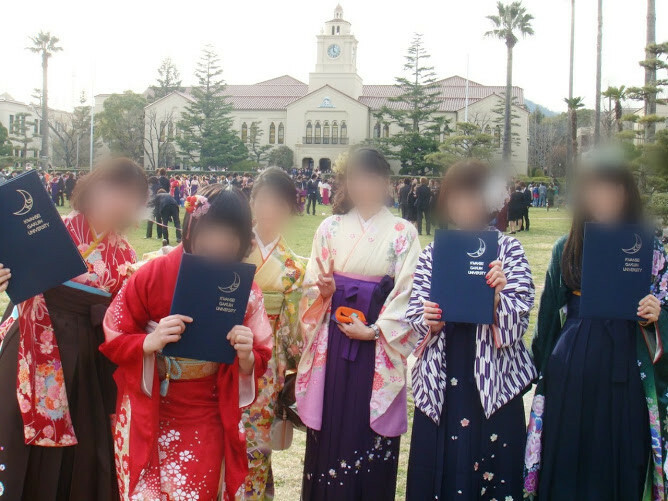 As Mitsue mentioned last newsletter, March is a graduation season. Unfortunately, I have to tell you sad news today. Mei quit Ichiroya. I guess that there are lots of fans of Mei's interesting newsletter. We miss her, too! She's going to a country which has a lot more sheep than people on a working holiday from next month. Good luck, Mei chan! However, spring is not only parting season but also meeting season in Japan. Some new staffs joined Ichiroya! Have you noticed newcomer's names on the item description page? Please look forward their newsletters! By the way, 6 years have passed since my last graduation from university. 6 years! Unbelievable! The university I used to go to is located at Nishinomiya, Hyogo. It took me 2 hours by train from here, Tondabayashi to there. And now, my commute time is only 15 minutes by bicycle. (moreover, electric one!) So that, I'm getting bigger and bigger since then. May be, I've gained 10kg or so. Oh my goodness! However, I don't like to get some exercise. 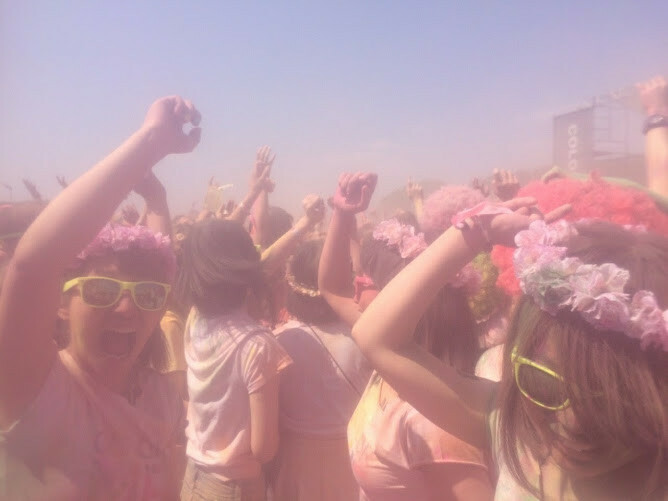 I've taken a part in a running event called 'Color Me Rad' with my friends. 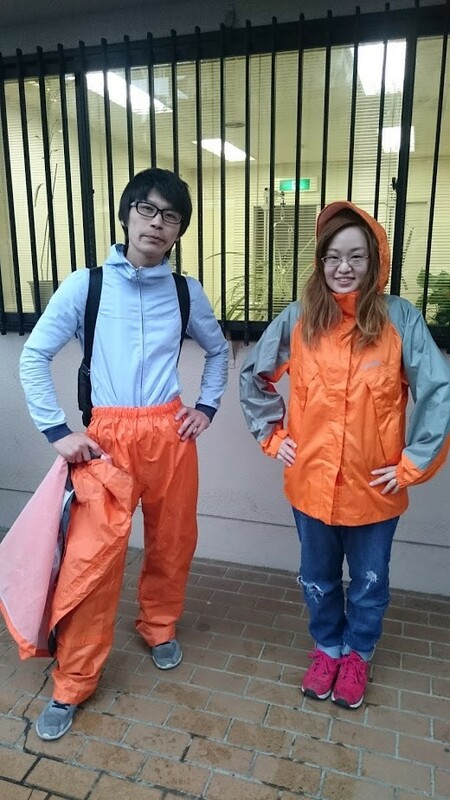 Recently, various types of running events are held in Japan. Color Me Rad is one of them. We were completely covered with colorful powders like this! 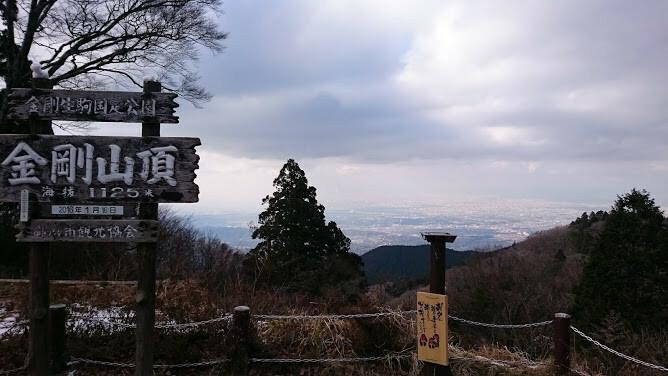 On another occasion, I climbed Mt.Kongo which is located between Osaka and Nara. It is 1,125 meters high, and it took me about 2 hours to get the top of it. When I climbed Mt.Kongo, the top was still covered with snow. The view from there was also beautiful like these items! Speaking of mountain, Mt. Fuji is the Japanese symbol, isn't it? This is the real view I saw from the top of Kongo-zan. And they are my companions of the mountain-climbing. Have you ever seen 'photo:ozaki' and 'photo:okamura'? I climbed with them! Mr. Ozaki is not only one of my coworkers, but also a musician! He has written a song for Ichiroya. Have you ever heard this song? If No, please check it out here! I'm sure you'll like it!! Here is our them song!